The McLaren Formula One Team is 50 years old, and to celebrate it they produced this great tribute video to Bruce McLaren and his legacy. 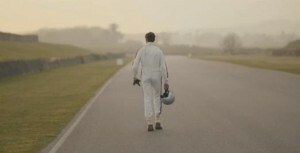 In only3 minutes it gives a great insight into the man that Bruce McLaren was, and clues as to why his legacy lives on so long after his death. The videos title “Courage” says it all. Bruce started his team way back in 1963 and is credited with a number of innovations that are still used to this day on modern Formula One cars. He was one of the modern day pioneers of motorsport worldwide.